A good deal is written about singers with an exceptional talent. Many long to be exceptional in the vibrant and ever faster moving music business. Johnny Logan is! To this day no one else managed to win three times at the Eurovision Song Contest (in 1980 as singer of What’s another year, in 1987 as singer, songwriter and composer of Hold Me Now, and in 1992 as songwriter and composer of Why me). His extraordinary success aside, his talent as a singer is outstanding. Those who ever saw him perform live, can’t get over the amazing qualities this ever humble ‘lad’ carries in his voice. Johnny Logan was born in 1954 as Sean Patrick Michael Sherrard in Melbourne, Australia. Three years later his family moved to Ireland. From then on Sean was constant company to his father on his tours. He learned to play the guitar and wrote his first songs at the age of 13. He did not find much fulfillment in his apprenticeship as an electrician and was grateful when he was offered the lead in an Irish musical. Shortly after, in 1980, filmmaker and composer Shay Healy discovered him at this same show and offered Johnny Logan his song What’s another Year to sing. This was 30 years ago and in celebration of this anniversary Johnny Logan is finally releasing an album in Germany. For the first time he unites all three winning songs. All other songs were produced in the past years, musically sharing the limelight with his worldwide hits. In the years between Johnny Logan, either by design or destiny, moved a bit away from what his name stood for. After the enormous success of Hold me now (6 million tracks sold) the pressure to deliver another hit of this magnitude was big. This resulted in a interesting effect: instead of writing a second Hold me now Johnny Logan went to explore other musical directions: rock, soul and folk music. He continued writing ballads, but chose not to offer them to the record companies. Not until the release of the song and album Nature of Love did the harmonic puzzle fall into place to incorporate his Grand-Prix hits. You could say that the album to Hold me Now took Johnny Logan 20 years to finally compose. As in his preceding albums Irish Connection (2007 number 1 in Denmark (platinum), Sweden (gold) and Norway (double platinum)) and Irishman in America (2008), Irish folk-instruments like the Tin Whisthle and Lambeg Drums are part of the ensemble. Not forgetting his roots Johnny Logan is representing his native Ireland in the preliminaries to this year’s Eurovision Song Contes… albeit only as member of the jury. 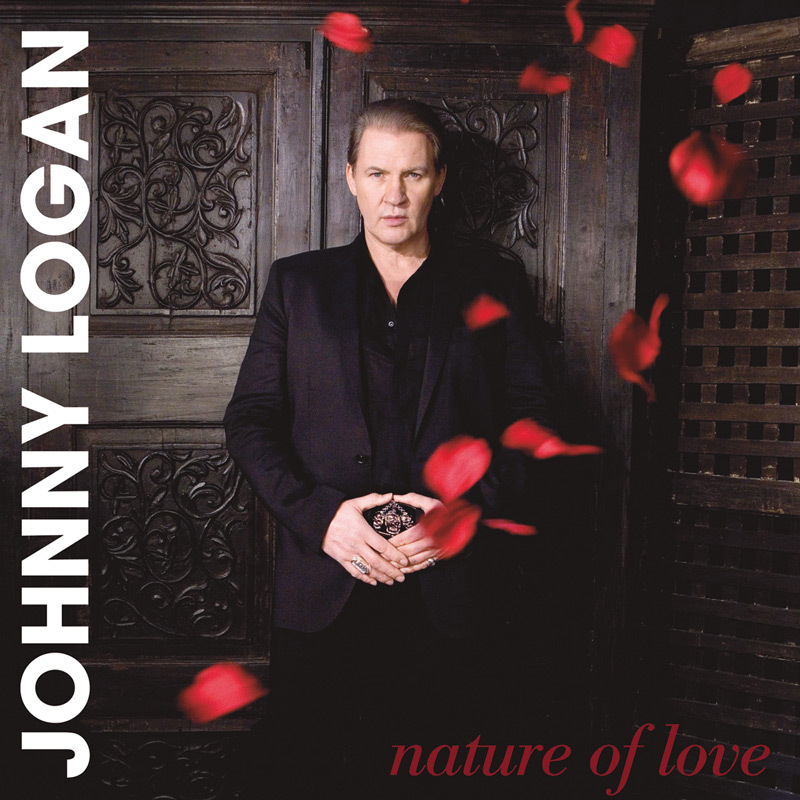 Far more than an icon of the Eurovision Song Contest, Johnny Logan with his new album Nature of Love gives testimony to stardom for all to hear. Your train’s been running at a different speed. For someone who’s getting used to being alone?